New Audi A6 – Advancement Through Technology. 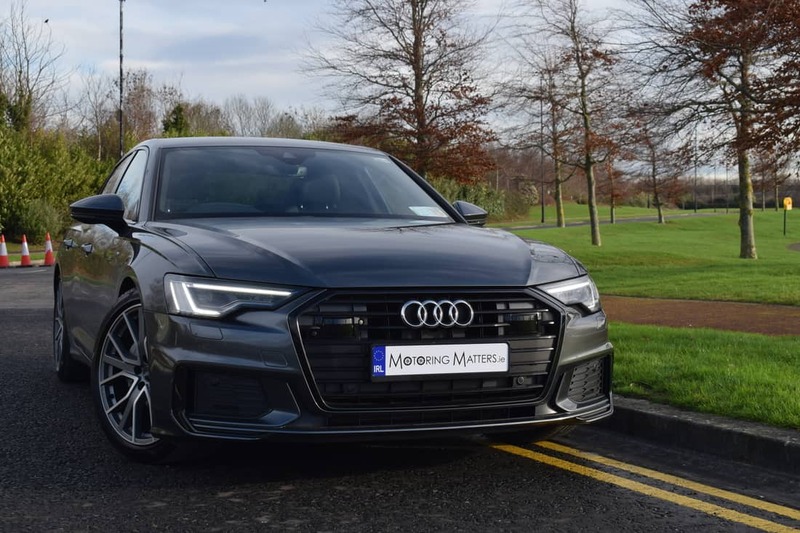 The new Audi A6 was launched in Ireland in late 2018, and is available in traditional four-door saloon and A6 Avant (estate) guises. From its striking lights with distinctive light signature to its sculptured rear end, the Audi A6 is an ambassador of a revolutionary language of design, carrying classic quattro genes at the same time. Specially designed headlights beam out from underneath the impressive bonnet, flanked at the sides by powerful sills. The result is a look that promises pure dynamics, rounded off with breathtaking performance. Drivers of the new Audi A6 can enjoy uncompromising sportiness, without sacrificing comfort or efficiency. When designing the new A6, Audi encorporated many of the features of its bigger sibling, the A8. 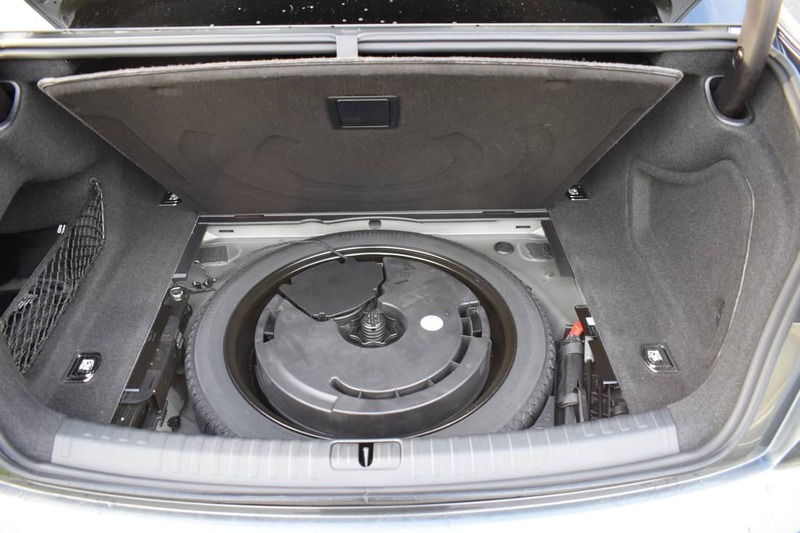 Technology such as 12-Volt or 48-Volt mild hybrid systems aim to keep down emissions. This works by switching off the engine and allowing the A6 to freewheel when you lift off the accelerator between 54km/h and 158km/h. 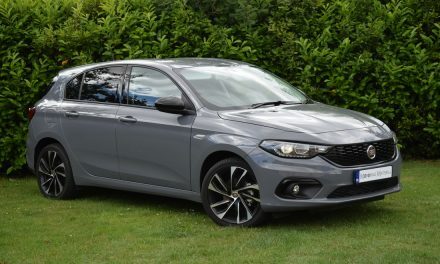 It stays silent and un-polluting for up to 40 seconds on the 48-volt models, or 10 seconds with the 12-volt system fitted to the entry-level diesel. The engine line-up in the new A6 consists of 2 turbo-diesels – a 2.0-litre (badged 40TDI) with 204bhp, and a 3.0-litre with either 231bhp (badged 45TDI) or 286bhp (badged 50TDI). The 40TDI model is available in front-wheel-drive only, while Audi’s famous Quattro (four-wheel-drive) system is standard in the 45TDI and 50TDI models. Choose the 40TDI model and it will come with a standard ‘S-Tronic’ 7-speed dual-clutch automatic transmission, while the 45TDI and 50TDI models are fitted with a standard ‘Tiptronic’ 8-speed automatic gearbox. Audi’s ‘S-Tronic’ gearbox incorporates two multi-plate clutches, which control different gears. For example, when the driver accelerates in third gear, fourth gear is already engaged in the second transmission structure. The gearshift is carried out extremely quickly as a result of the changeover of the clutches – one clutch engages as the other disengages. The gear change takes only a few hundredths of a second and is completed with virtually no interruption in traction. It all happens so smoothly and conveniently that the driver hardly notices it. With ‘Tiptronic’, all gear changes are executed with only minimal interruption to the power flow. This automatic is so convenient that it even lets you change gear yourself. Trim levels in the new Audi A6 are limited to two well specified models – ‘SE’ and ‘S Line’, while an extensive range of packages, and upgrades, are available for the ultimate in individualisation. Both trims offer the kind of hi-tech luxury that executive car buyers are accustomed to when upgrading to a new model. My test car was an Audi A6 ‘S Line’, S-Tronic (7-speed automatic) 2.0TDi finished in stunning ‘Daytona Grey’ pearlescent paintwork. 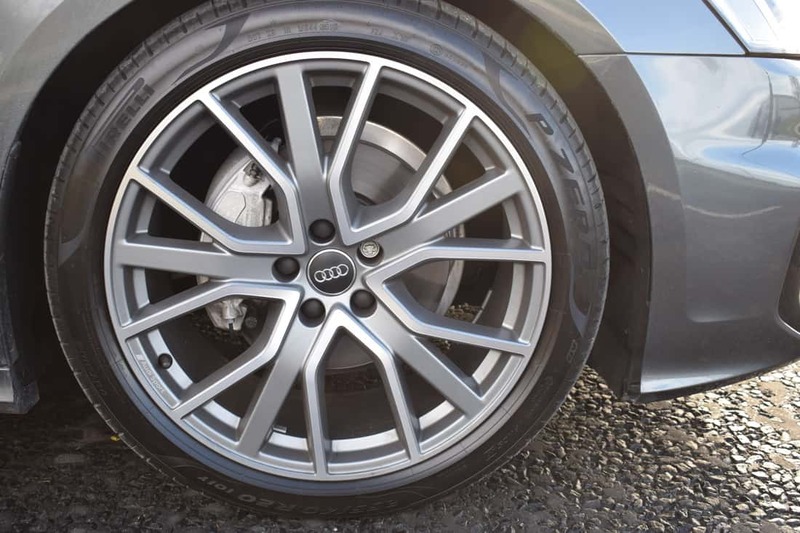 Standard ‘S-Line’ specification includes 19” twin-spoke alloy wheels, alarm system, Audi Connect (with a 3-year subscription included), Audi Active Lane Assist, Audi Emergency Call & Breakdown Assist, Audi Pre-Sense City, Audi Smartphone Interface, Audi sound system, chrome exterior pack, deluxe air-conditioning, front, side & rear airbags, front & rear parking sensors, front sports seats with embossed ‘S’ logo, glove compartment cooling system, headlining in black cloth, heated front seats, ISOFIX child seat anchorage points x 2, leather multi-function steering wheel, Matrix LED headlights, LED interior ambient lighting, LED rear lights with dynamic indicators, leather & alcantara upholstery, MMI Nav with MMI Touch Response, S-Line sports suspension, type pressure monitoring system, start/stop function with recouperation system, and a platinum grey front spoiler lip and diffuser insert. 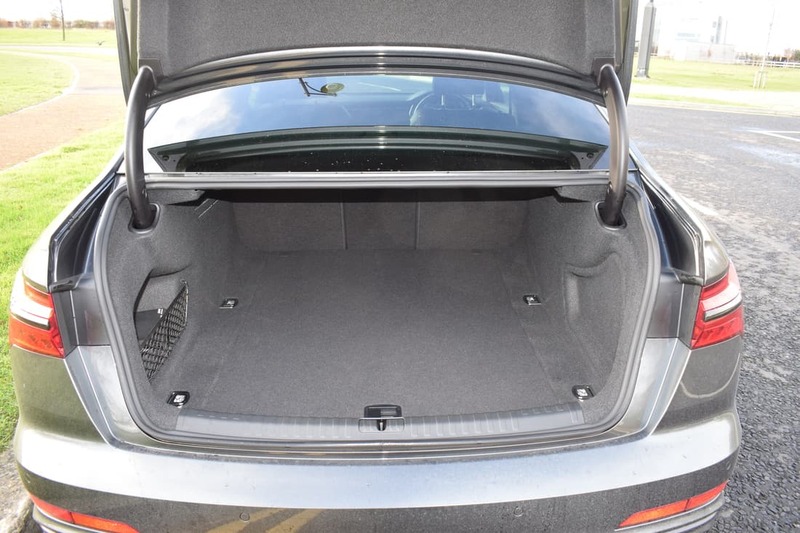 Optional extras fitted to my test car included a ‘Tech Pack’, ‘Tour Assist Pack’, ‘Comfort & Sound Pack’, ‘Black Styling Pack’, ‘Audi Pre-Sense Basic’ and privacy glass. The 2.0TDi engine in my test car produces 204bhp, and a healthy 400Nm of torque, for swift forward motion. The 0-100km/h sprint can be completed in just 8.1-seconds, while a top speed of 245km/h is possible (where permitted). Thanks to the ultra-modern engine technology employed by Audi in the new A6, fuel consumption as low as 4.5l/100km is possible on an extra-urban driving cycle. With a 73-litre fuel tank fitted as standard, the need for frequent visits to a filling station is dramatically reduced. 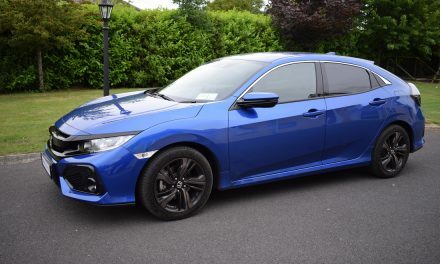 A low emission figure of 117g/km from my test car equates to annual road tax of just €270. On the road, the new A6 offers excellent ride comfort and composure. 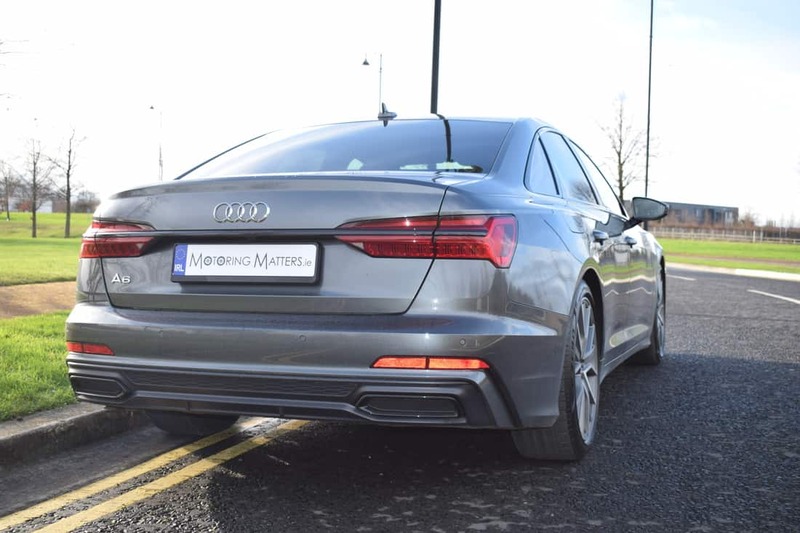 The previous generation A6 felt rather uncomfortable over bumps, jolting occupants when driven over anything other than perfect road surfaces. 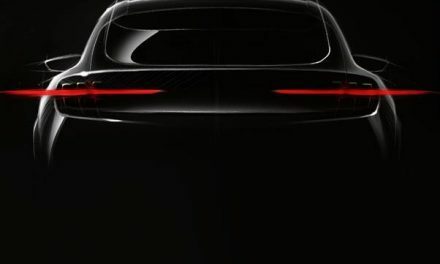 Audi has taken this criticism on board with the new model, which performs with a new-found elegance and refinement. 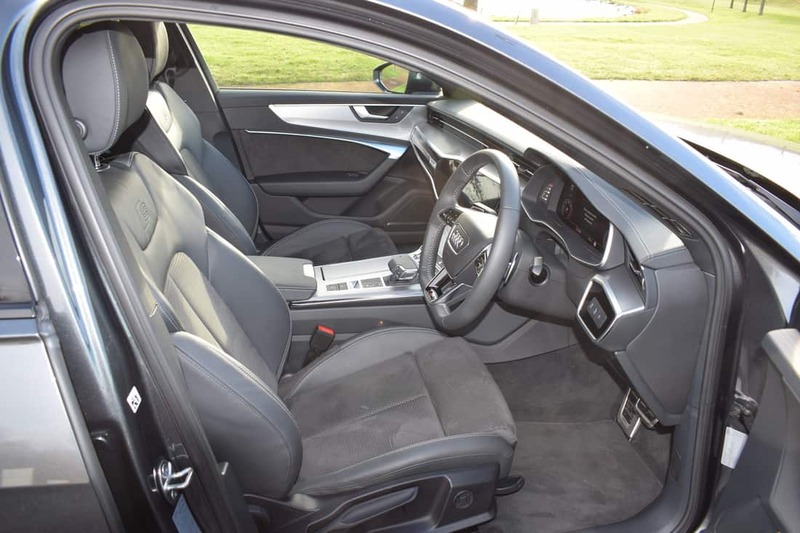 The addition of a generous amount of sound insulation in the new A6 make it a relaxing and serene place to spend time. In the cabin, there is even more inspiration from the A8, with a plush interior packed with hi-tech delights. There’s the latest version of Audi’s MMI interface that controls all the cabin functions. This comprises a pair of touchscreens with haptic feedback, which means they mimic physical buttons by clicking and vibrating when a function is pressed. 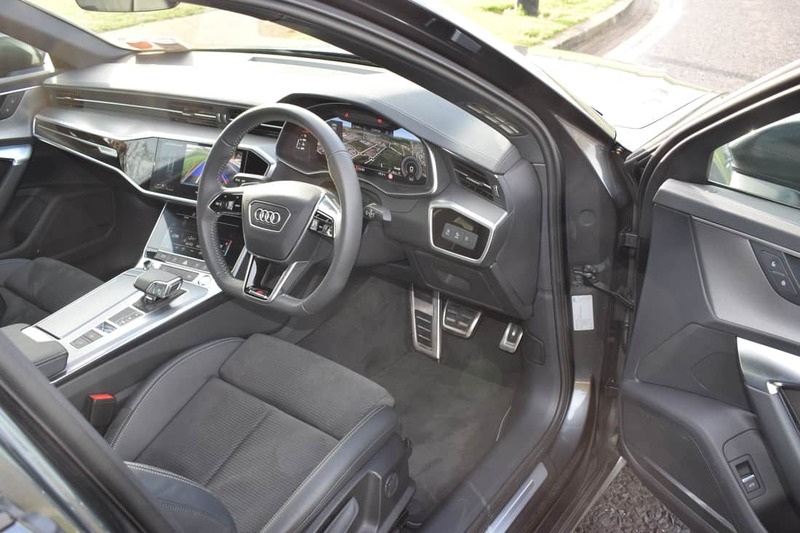 Interior space is greater than that on offer in the previous generation A6. 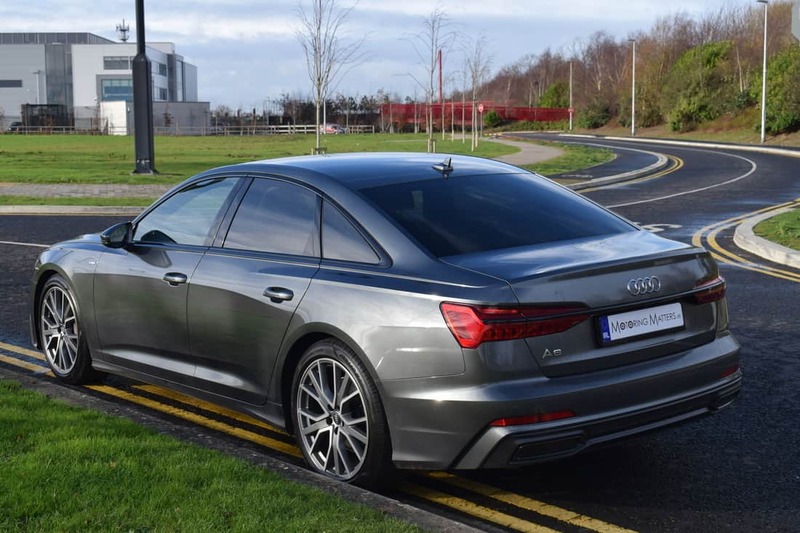 In addition, a stiffer bodyshell, extra sound deadening and a sharper driving experience mean the A6 is still a strong contender in the class. 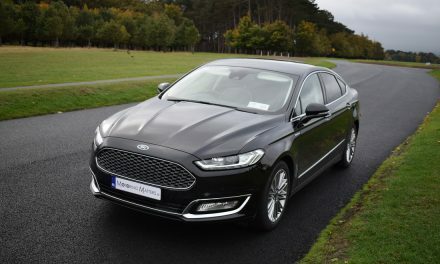 The market segment that the new Audi A6 is competing in is packed with such talented rivals as the Mercedes-Benz E-Class, BMW 5-Series, Jaguar XF, Lexus ES and Volvo S90, but the distinctive, and unmistakable, new A6 has ruffled the feathers of its competitors once again. There’s a host of driving aids that put the A6 at the cutting edge of assisted driving technology, too. Add all the safety options available, and you’ll get five radar sensors, five cameras, twelve ultrasonic sensors and a laser scanner. These combine to equip the A6 with adaptive cruise control, active lane assistance and self-parking, while an advanced city braking system is designed to scan for obstacles crossing the car’s path in urban environments. 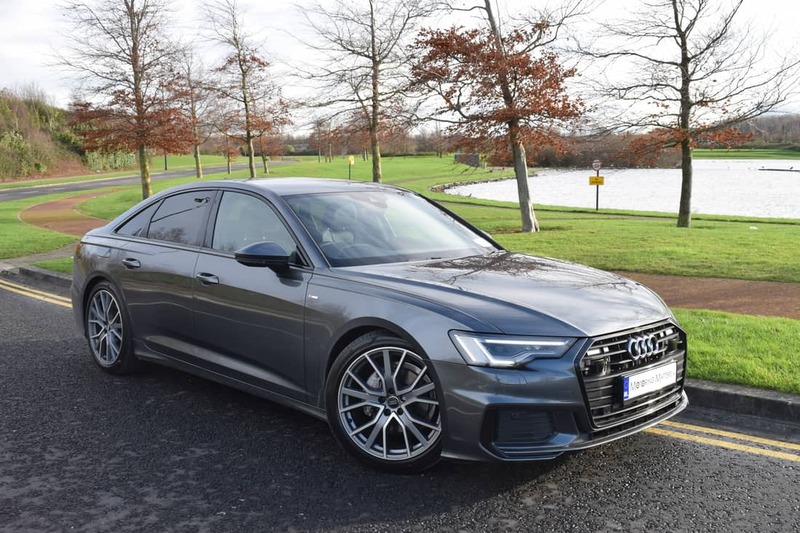 Ex-works prices for the new Audi A6 start at €50,800 for the four-door saloon in SE 40TDI specification, while the Avant (estate) version attracts a premium of €3,035. S Line models start at €55,605 (ex-works). Overall, the new Audi A6 conveys passion at the very first glance. Visit www.audi.ie for further information. PreviousNew Mercedes-Benz C-Class Coupé – C200 AMG-Line Automatic.